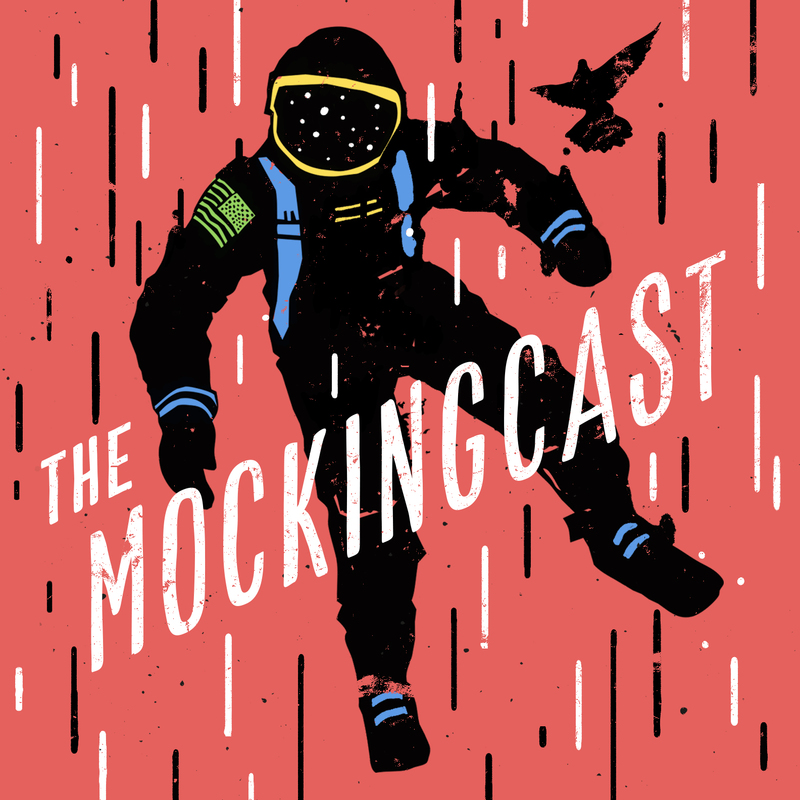 With 2019 busting down the door, it’s time for our annual update on all things Mockingbird! And what a year it’s been, praise God. Such a privilege to bear Good News, especially when the world feels like an increasingly merciless place. At the end of last year, we launched a series of new initiatives called “Mbird 2.0.” Twelve months in, the first fruits have arrived—top of the list being The Mockingapp, the cutting-edge app for iOSx mobile devices we unleashed in October. Next would be StoryMakers, our new children’s ministry venture which is going gangbusters (look for their first offering in early 2019). And then there’s our spectacularly redesigned print magazine, two issues of which appeared in 2018. We also held three conferences, published four books, and hosted five ongoing podcasts, including the revitalized lectionary guide, Same Old Song, which hit earbuds at the beginning of Advent. What’s next? My own book Seculosity: How Career, Parenting, Technology, Food, Politics, and Romance Became Our New Religion and What To Do About It drops in April and is already available for pre-order. I think you’ll love it. In addition to our annual conferences in NYC (4/25-27) and Tyler, TX (4/5-6), we have a pastor’s gathering on the books for June, as well as a Fall event in Virginia. The Faith & Doubt Issue of our print magazine will be out in January, and later that month, we begin work on a second 365-day devotional! We’re also stockpiling new pastoral resources for a planned overhaul of this site. All this while the parade of high-quality written and audio content continues apace. Become a monthly supporter. Close to 250 people give automatically to Mbird every month, anywhere from $10 to $1200. We would love to see that number increase. 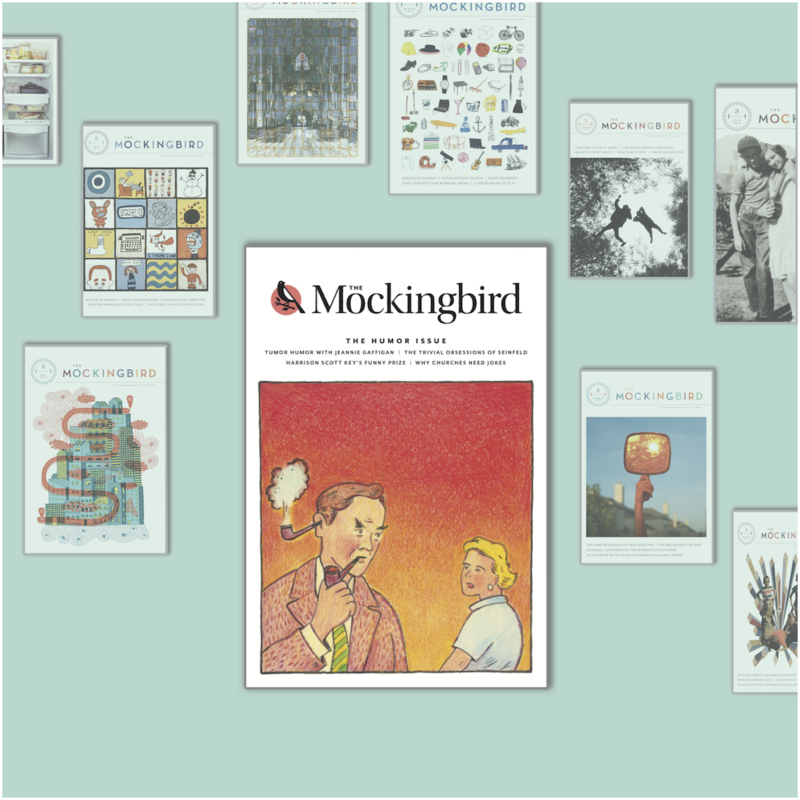 Remember, anyone who signs up for monthly giving will receive a complimentary subscription to The Mockingbird. Same goes for those who give one-time gifts of $500 or more. See if your church can help. A handful of ‘partner’ churches support us every year with funds from their outreach budgets. Others give via discretionary accounts. If you attend or work at a church that is benefiting from our ministry but hasn’t gotten behind Mbird “officially” yet, be our advocate! Email us at info@mbird.com if you have any leads. Spread the word. If you’re not in a place where you can give, there are other ways to pitch in. Write a review of one of our books on Amazon. Rate one of our podcasts on iTunes. Publicize Mbird events and articles on Twitter or Facebook or Instagram. Use one of our resources at your church or in your small group. Recruit folks to come to an event. Above all, pray for us! If you believe in what we’re doing and want to ensure that it continues, consider making a donation to Mockingbird today. Thanks for reading, and we wish you the happiest of new years. For those looking to while away the yuletide coma, here’s a rundown of what content got traction in 2018. It’s limited to stuff that was posted in 2018, rather than viewed then (if we were including previous years‘ output, for example, this post would’ve come in third). Enjoy! A year of anniversaries–Mockingbird’s 10th and the Reformation’s 500th–is now behind us, and what a year it was. We published our first children’s book, released two issues of our magazine (Food & Drink and Love & Death), held three conferences, racked up 1.2 million pageviews on our website. We hired our fourth full-time and fourth part-time staff members (which makes a total of eight!). David Z enjoyed a rejuvenating summer sabbatical. One of the first things we did upon his return was convene a group to brainstorm about the next stage of our work. Together we developed a slew of new projects and initiatives (and tweaks to old ones) that we’ve affectionately termed “Mbird 2.0”. The guiding principle was just as it’s ever been–to bring the “same old song” of the Gospel to people in fresh and creative ways. The first wave of 2.0, due in early 2018, will include a native Mbird app for mobile devices, a reconfigured Mockingcast, and the introduction of curated weekly digest emails. The second wave will launch a revamped website with triple the number of pastoral resources, our first-ever set of mini-videos, and a second 365-day devotional. All this in addition to our slate of regular activities: conferences in Tyler, TX (2/23-24), New York (4/26-28), and Oklahoma City (10/12-13); new volumes of our print magazine (Humor will be out in a few weeks! ); more reissued titles from Robert Capon; not to mention the continued parade of awesome daily content on here. Suffice it to say, the adventure continues–and we need your help! Scroll down for a few suggestions of how to do so. Become a monthly supporter. More than 200 people give automatically to Mbird every month, anywhere from $5 to $1200. We would love to see that number increase! Anyone who signs up for monthly giving (any amount) will receive a complimentary subscription to The Mockingbird. If you’re already subscribed but want to start giving monthly, we’ll send you the publication of your choice as a thank-you. See if your church can help. A handful of ‘partner’ churches support us every year with funds from their mission/outreach budgets. Others give via discretionary accounts. If you attend or work at a church that is benefiting from our ministry but hasn’t gotten behind Mbird “officially” yet, be our advocate! Email us at info@mbird.com if you have any leads. Spread the word. If you’re not in a place where you can give, there are other ways to pitch in. Write a review of one of our books on Amazon. Or rate one of our podcasts on iTunes. Publicize Mbird events and articles (like this one!) on Twitter or Facebook or Instagram. Use one of our resources at your church or in your small group (our Law and Gospel is ideal for this). Above all, please pray for us! P.S. 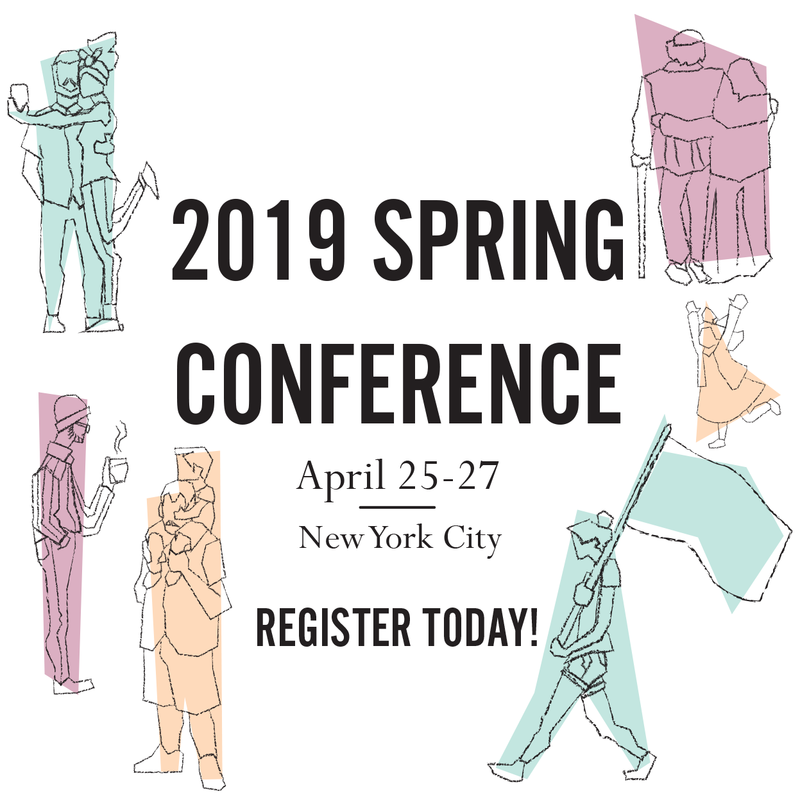 Discounted earlybird pre-registration for our NYC Conference (4/26-28) only lasts until January 15th! Ring in the Good: It’s Journey Time!